Good morning everyone! 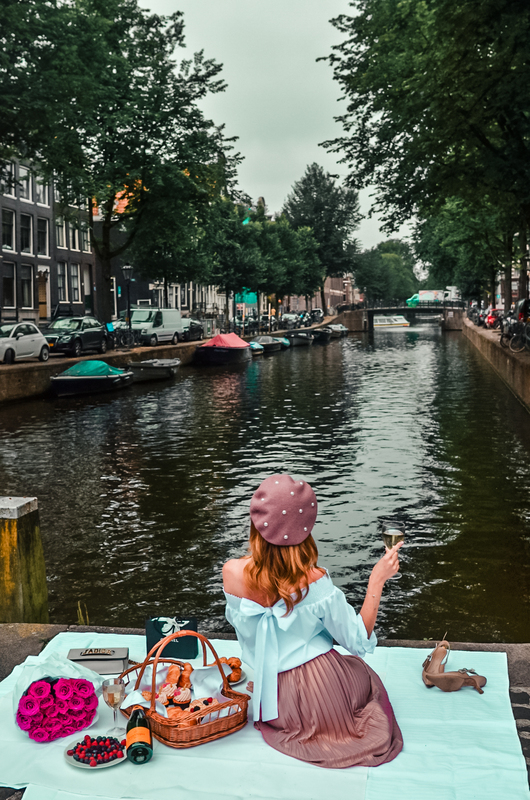 Today I have another post from you from beloved Amsterdam! Are you a picking person? Well, I definitely am! Amsterdam is one of my favourite cities, so what is better there to do than a small picking session? 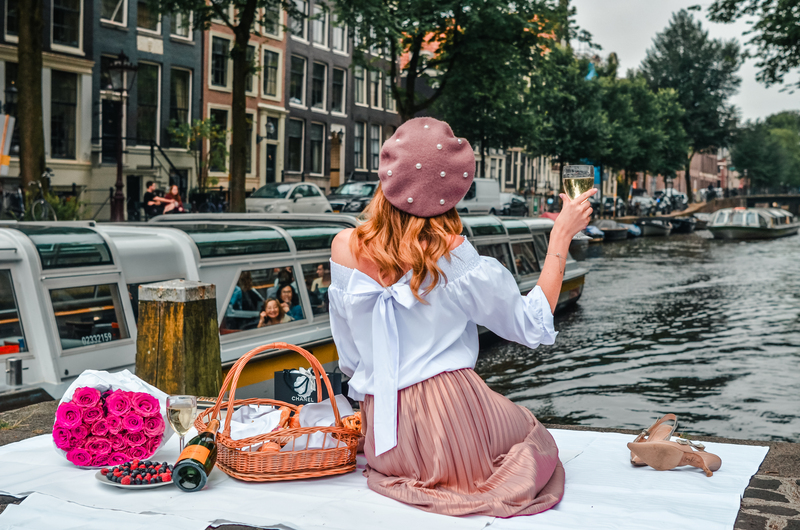 We found this hidden spot and just enjoyed the canals, the boats and the atmosphere of the city. So, how do you like the shots? Krásné ráno všem! Doufám, že se máte dobře. Dneska mám pro Vás další post z Amsterdamu - al etentokrát něco jiného než obvykle. Nevím, jak Vy, ale já osobně jsem velkým fanouškem pikniků, a tak jsme se rozhodli si jeden takový menší udělat. Našli jsme místo, které bylo celkem odlehlé a kde nebyo moc lidí, přinesli si něco dobrého k jídlu a pití a pozorovali kanály, lodě a prostě si užívali atmosféry města. Tak jak se Vám fotky líbí? 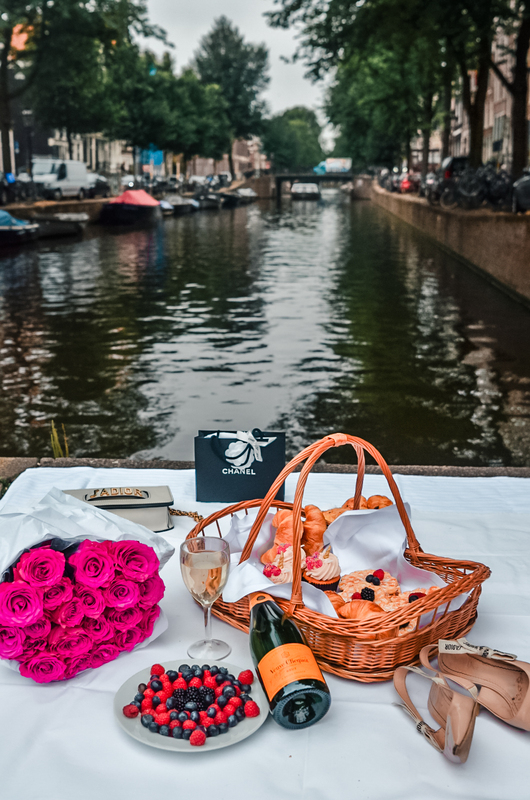 The picnic by the canals looks so dreamy! Amsterdam is definitely on my bucket list! These pics are beautiful! The back detail is so gorgeous! This looks like the most perfect of spots for picnics! 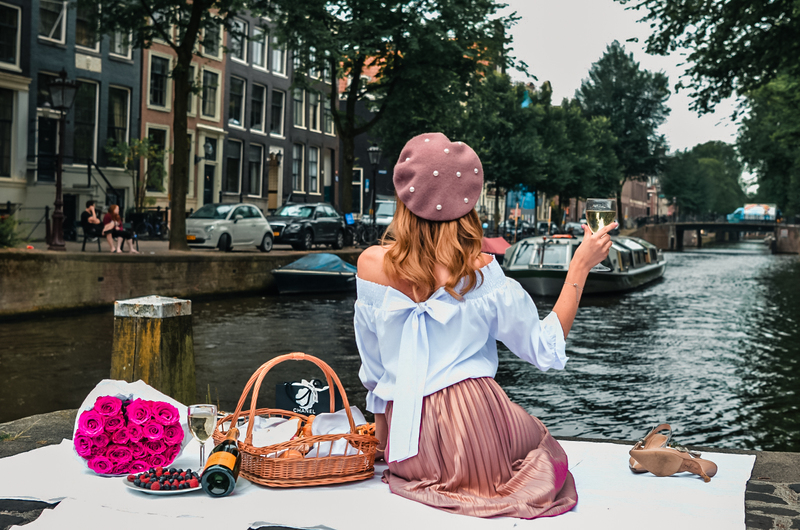 I think people often think that a picnic means sitting on a towel on the grass eating a sandwich and drinking lemonade, and I'm definitely guilty of thinking that, but this post is proof that picnics don't mean that and they can be so much more fun and exciting! I wish I had this post to read when I was in Amsterdam 3 years ago! Now I have a good reason to go back :D I hope you're having a lovely week!